About Thermal Home Exteriors, Inc. Call us now for your FREE no obligation estimate. Our business hours are 9:00am - 9:00pm, every day! Feel free to call us at 804-527-6276 or visit the contact page for more options. We offer financing to help you deal with your home remodeling troubles before they get out of hand. Our helpful staff will work within your budget to ensure everything is handled right without breaking the bank. Quit fretting about your home’s repair needs and contact Thermal Home Exteriors, Inc. Find out why we are central Virginia's premiere remodeler. We offer a free window with 6 new window installations; stop wasting money and partner with us for your home remodeling needs. 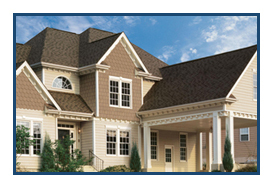 We have roofing options galore, we will help you make wise investments, provide quality windows that last, and we do quality work with premium-grade construction materials. We are committed to your satisfaction!